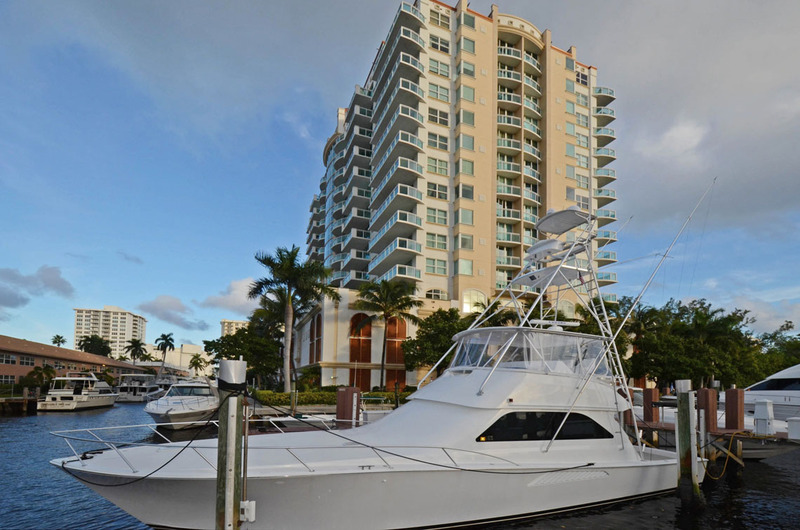 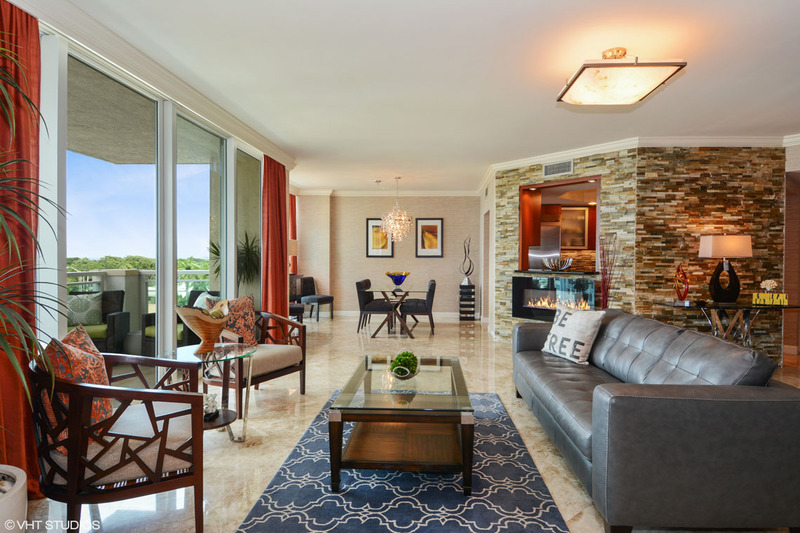 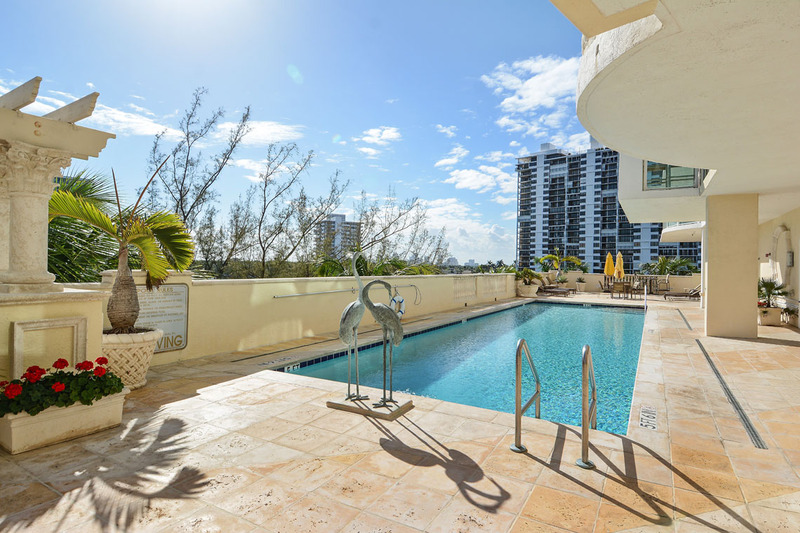 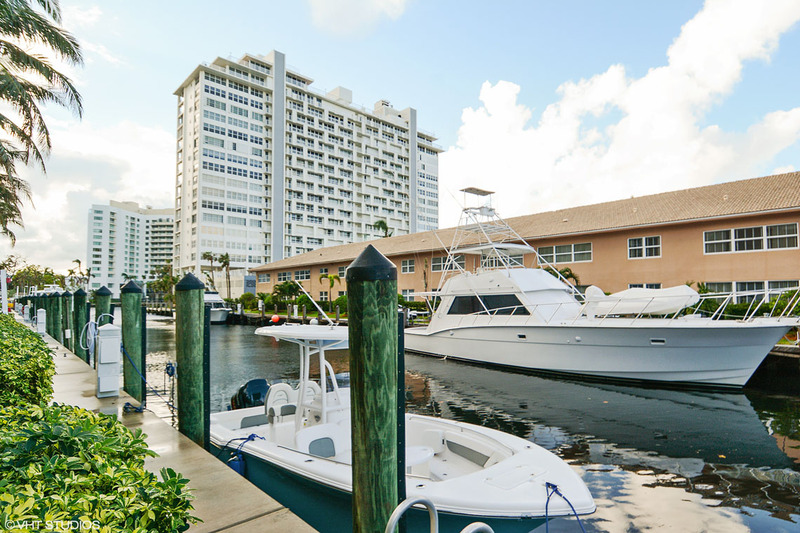 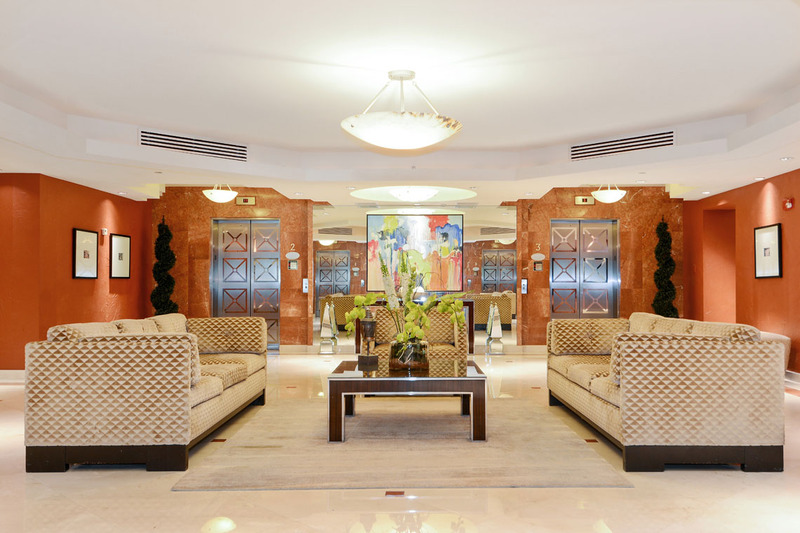 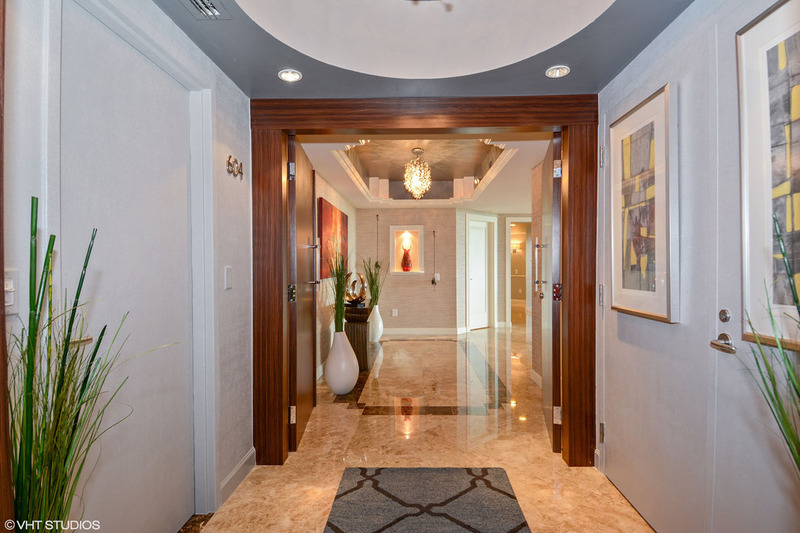 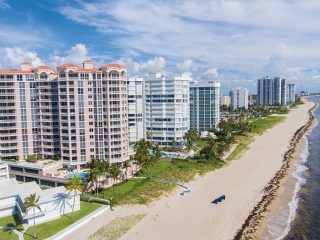 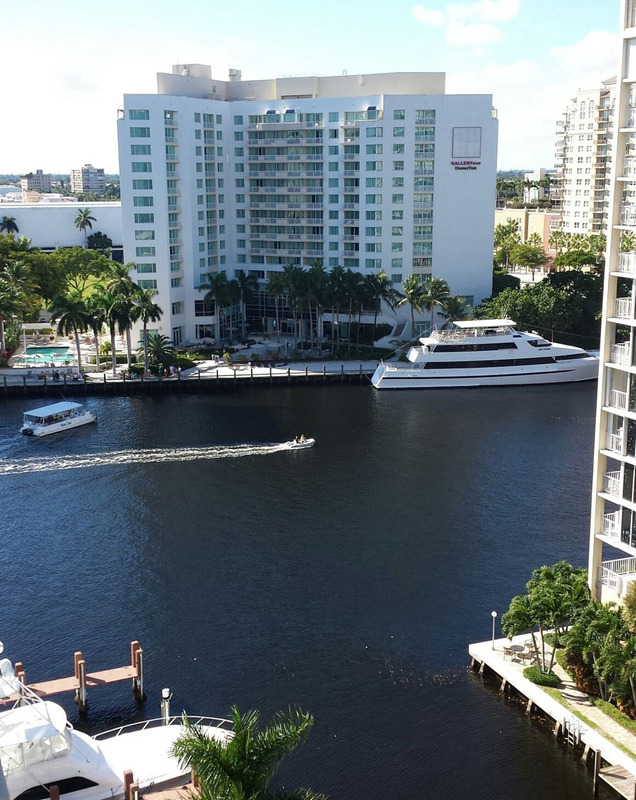 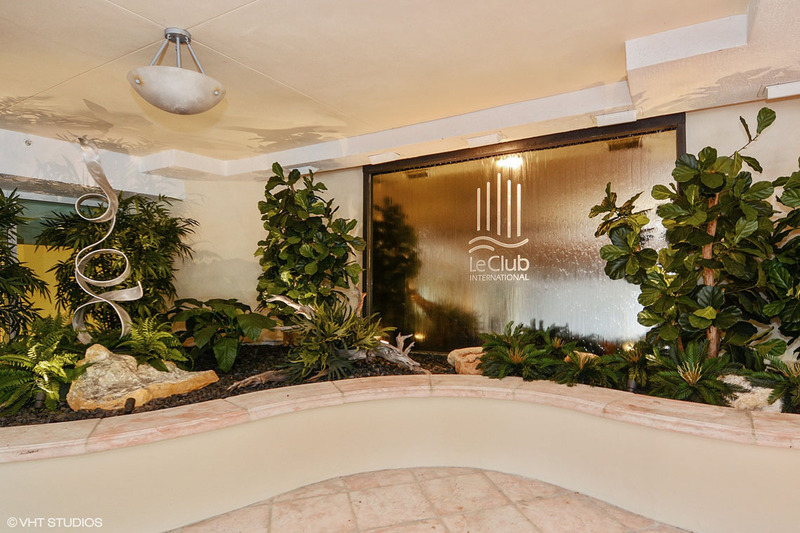 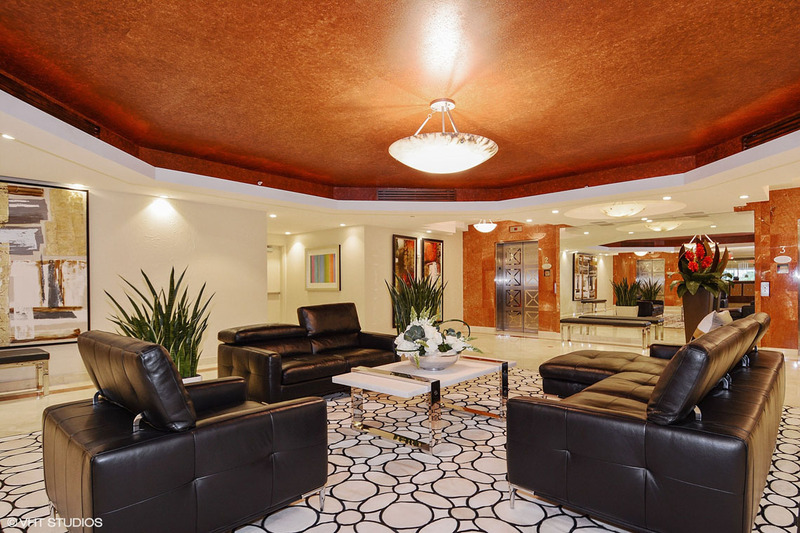 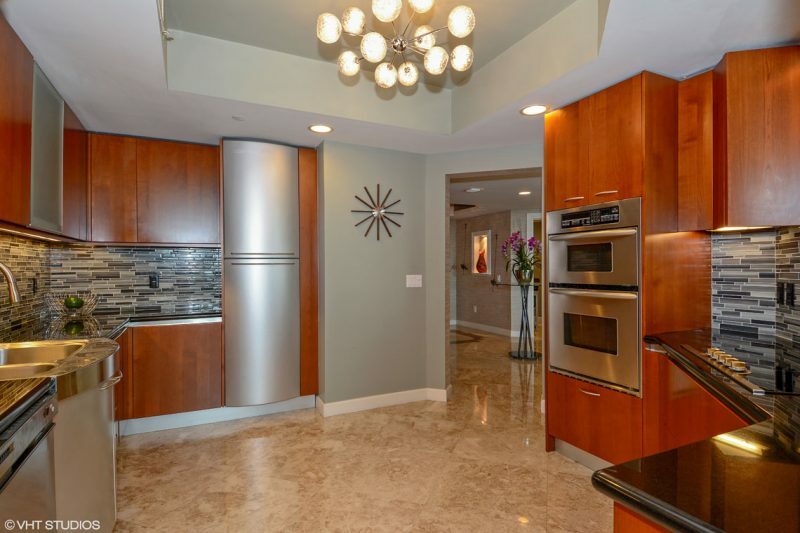 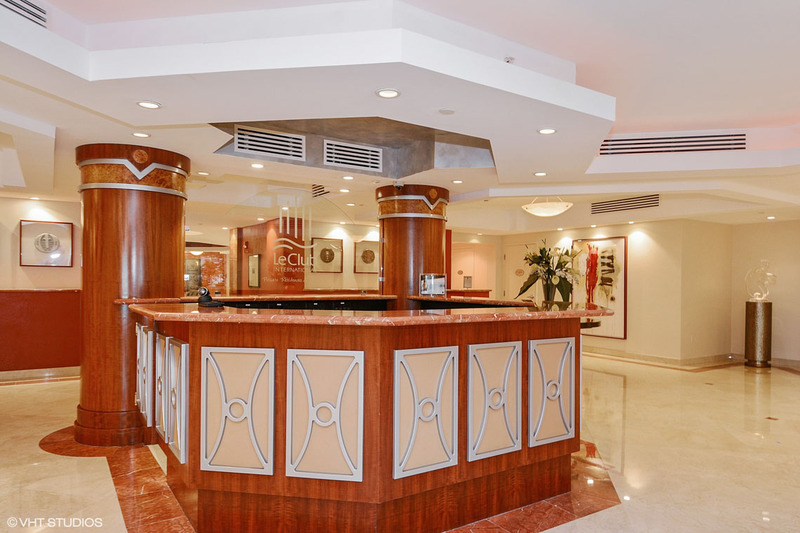 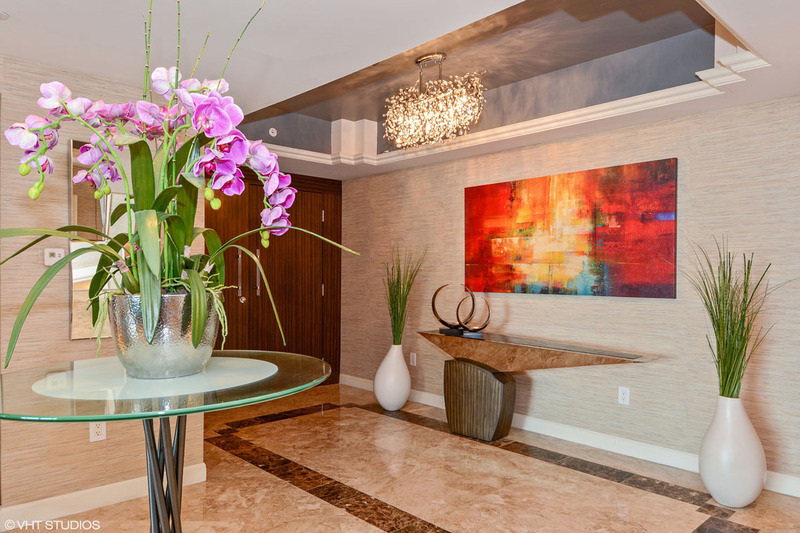 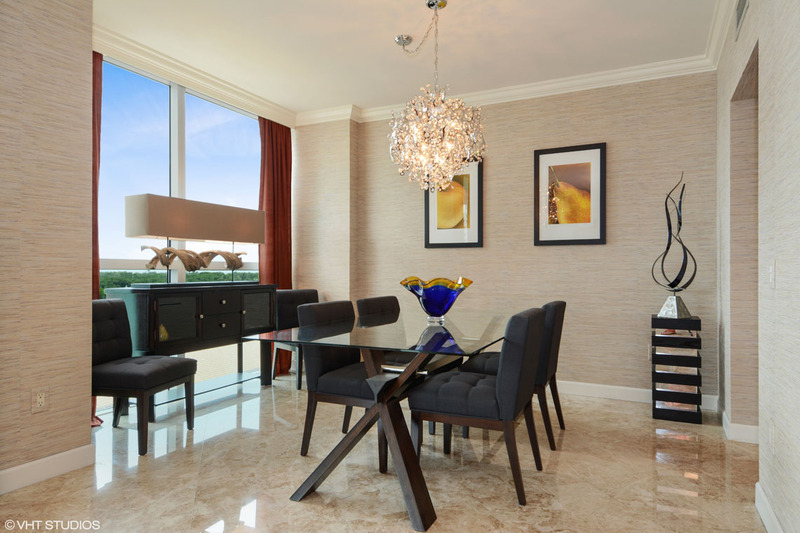 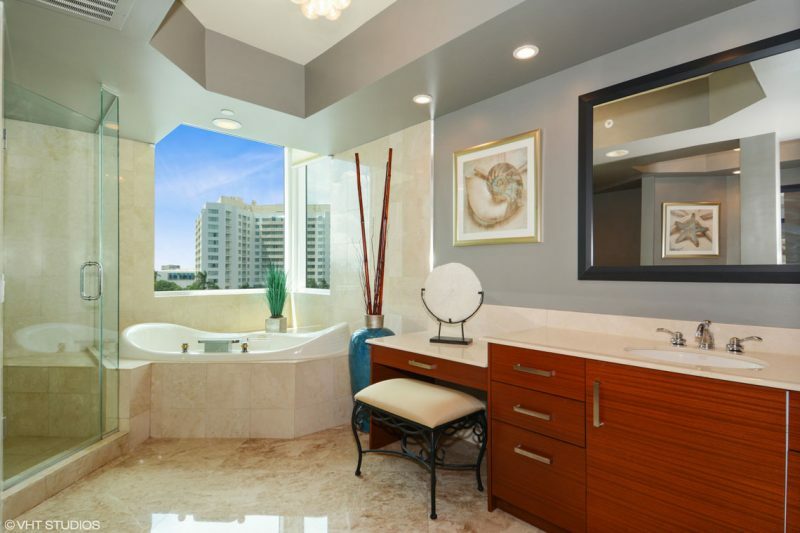 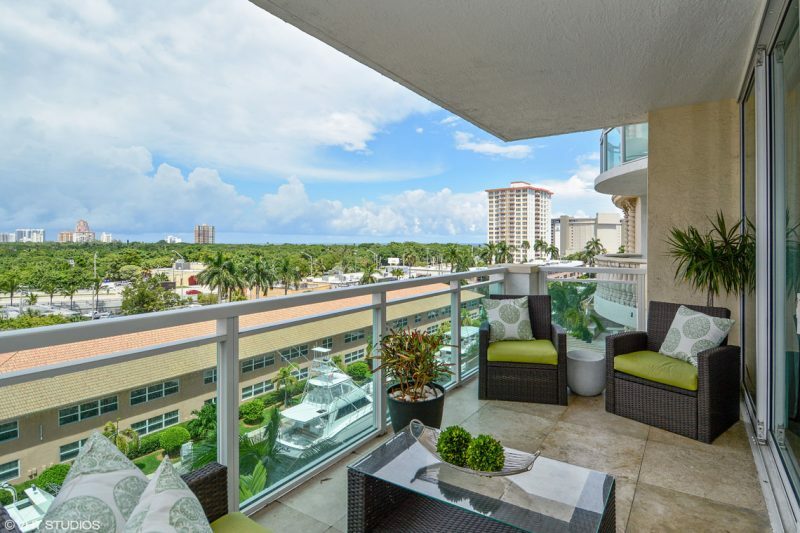 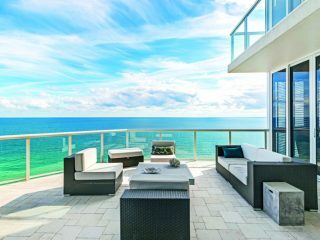 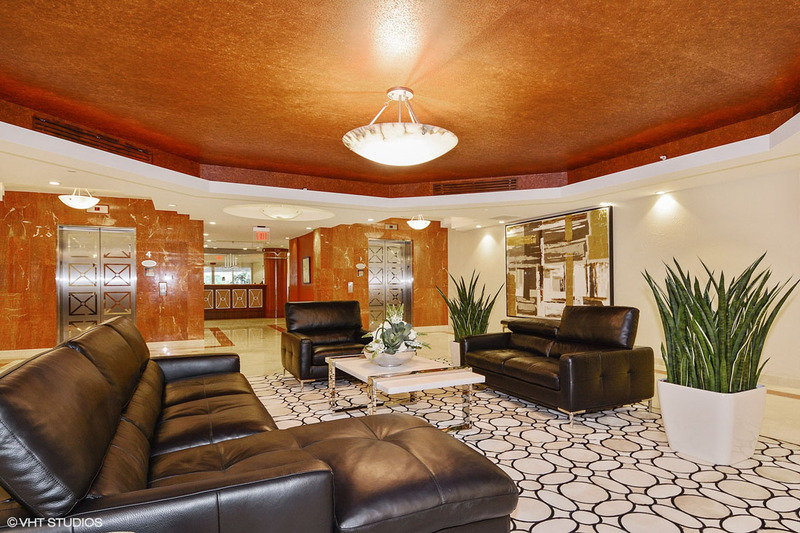 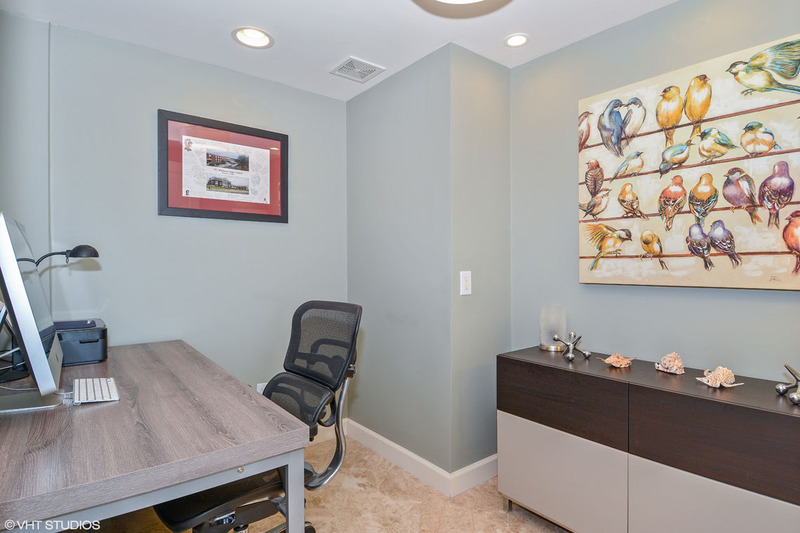 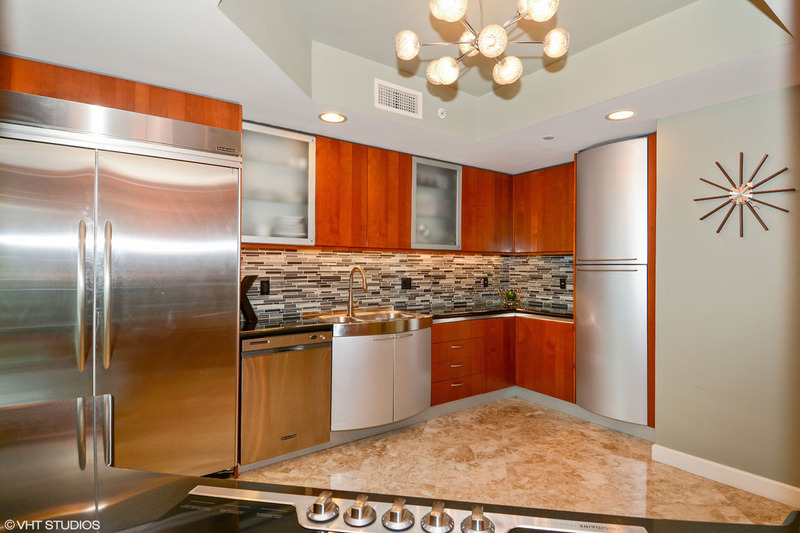 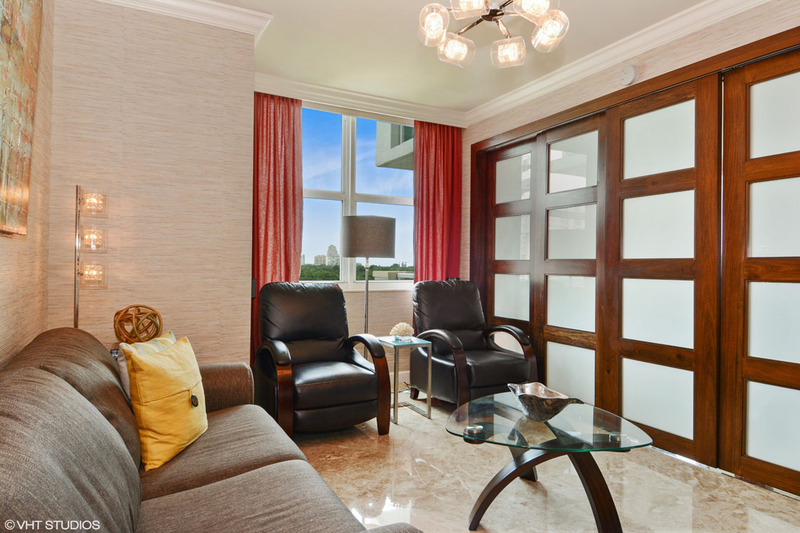 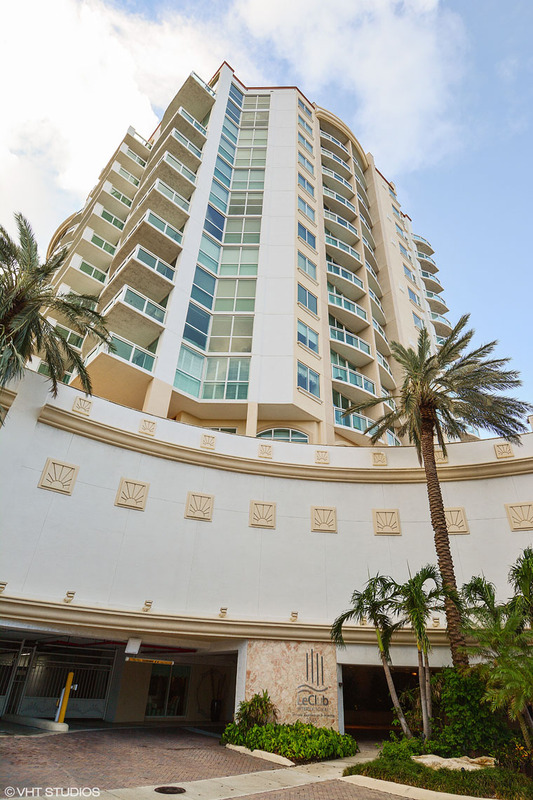 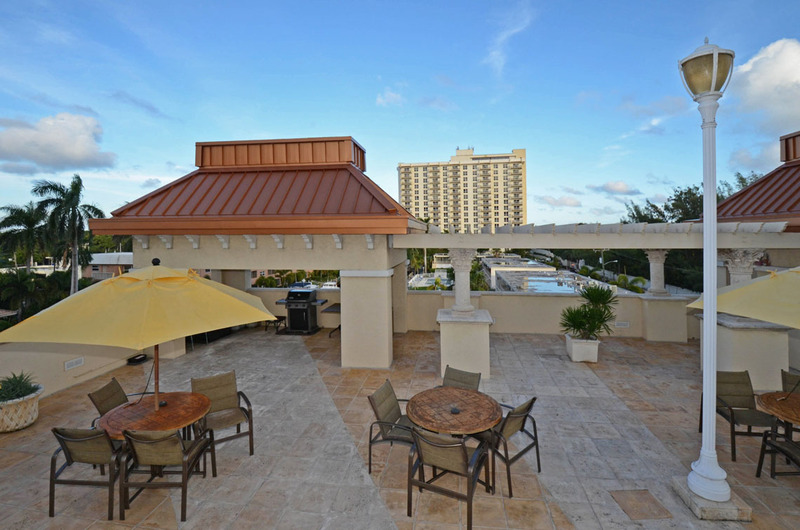 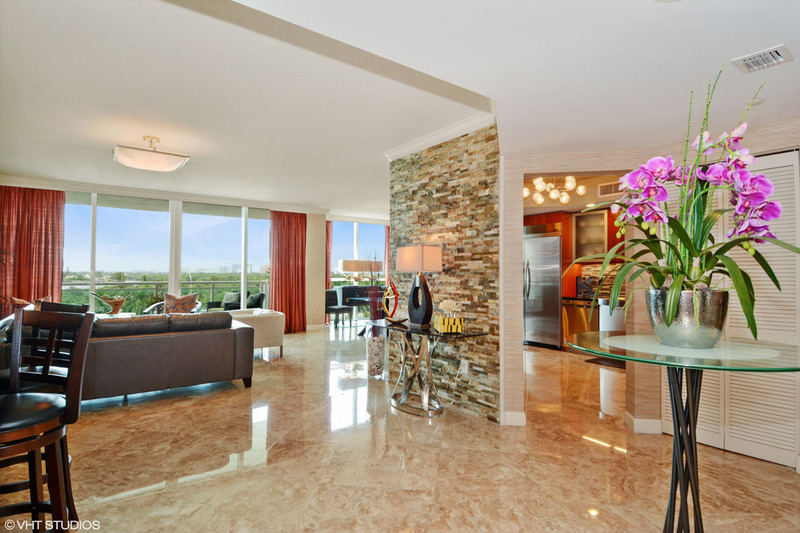 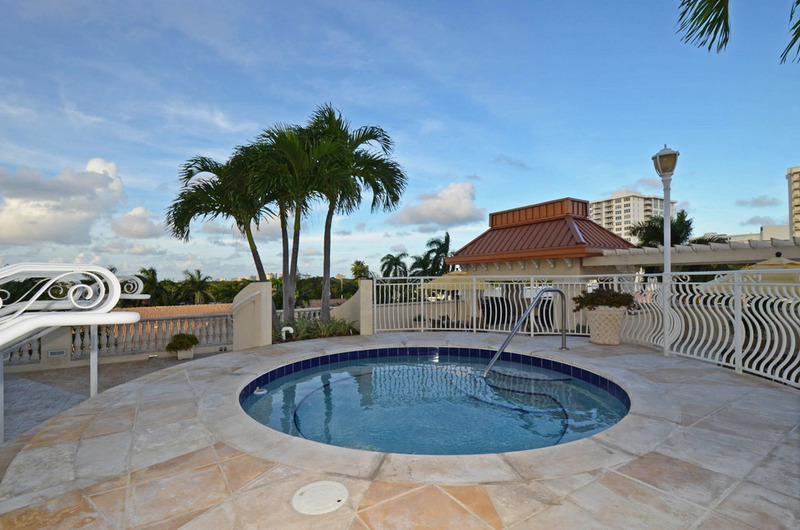 Le Club’s unit 604 is an elegant apartment that is quintessentially Fort Lauderdale. 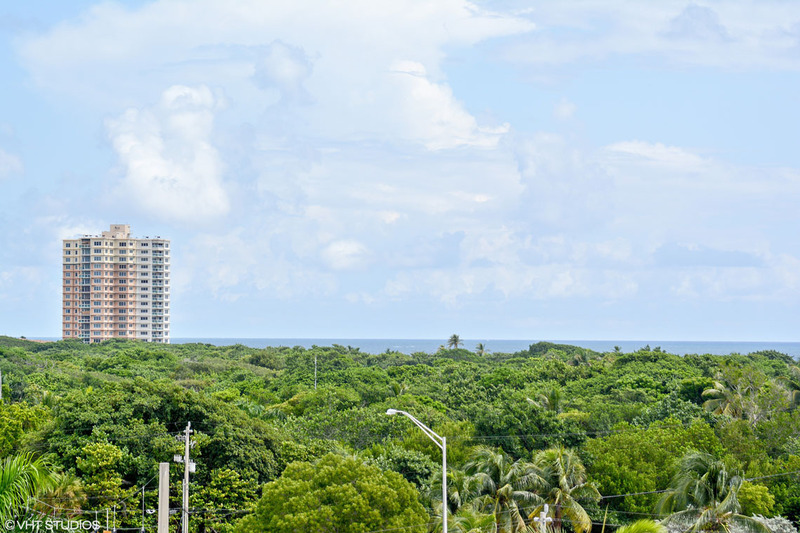 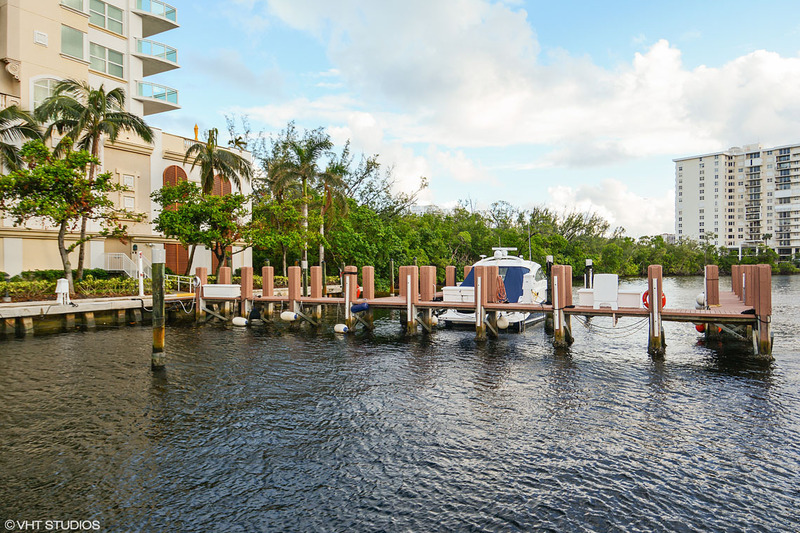 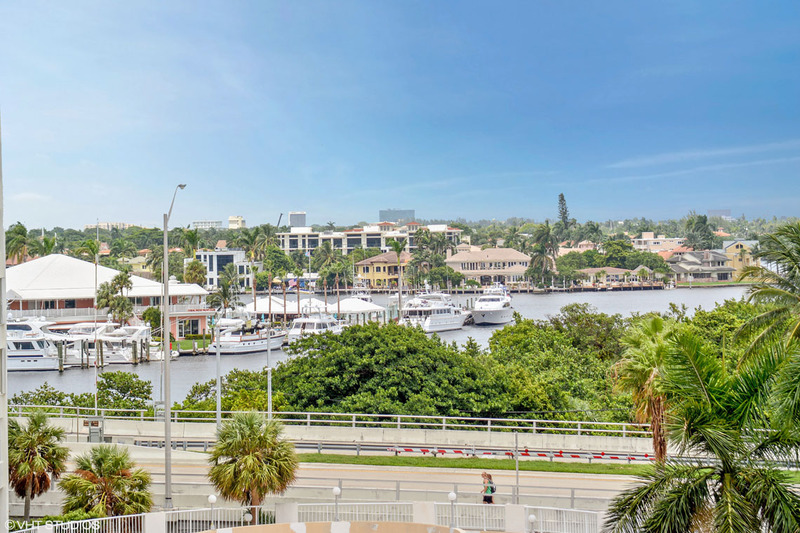 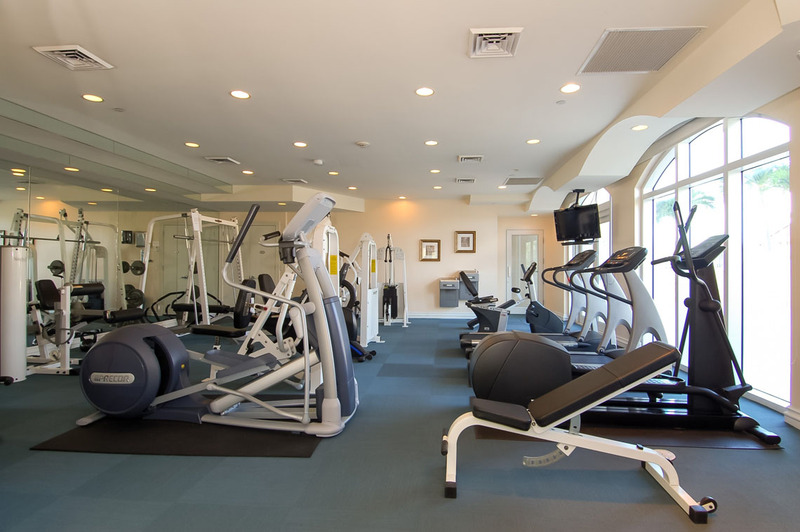 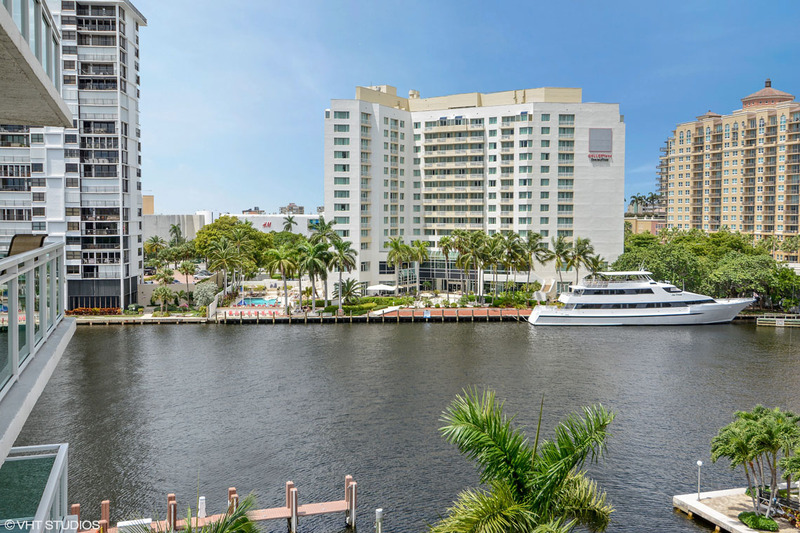 Surrounded by Galleria Mall, Birch State Park, views of the beach and of the canals, Le Club is the prime location for a unit that embraces the elegance of the city and its proximity to the water. 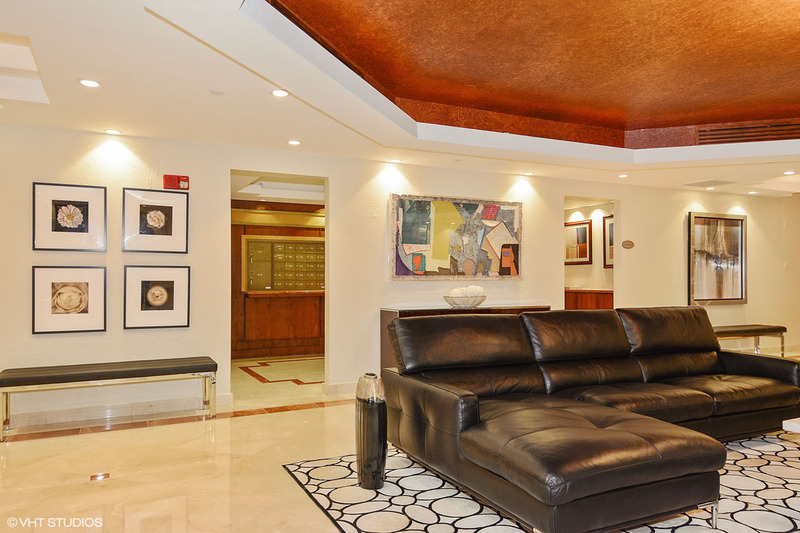 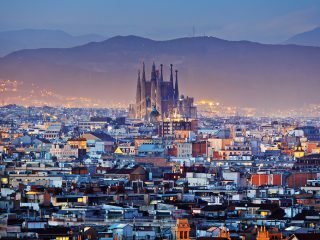 The apartment is a total of 2,630 square feet and houses three full bathrooms, three full bedrooms and an office. 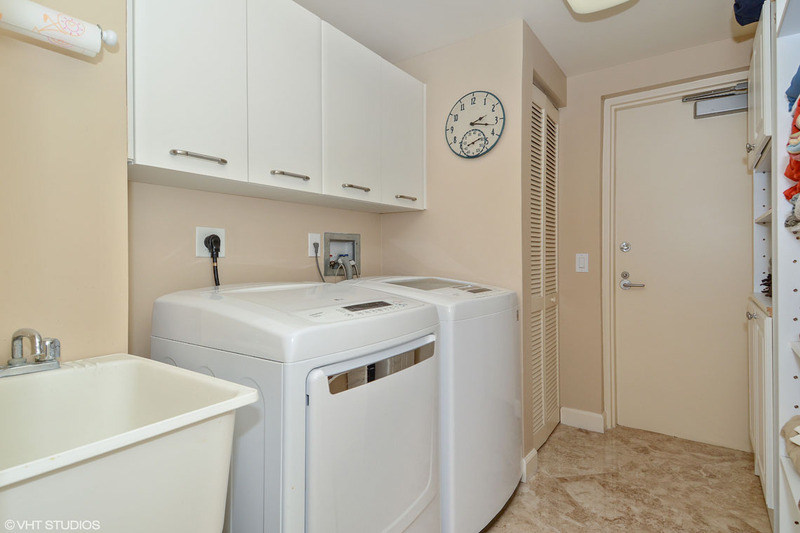 Private elevators lead to each individual unit. 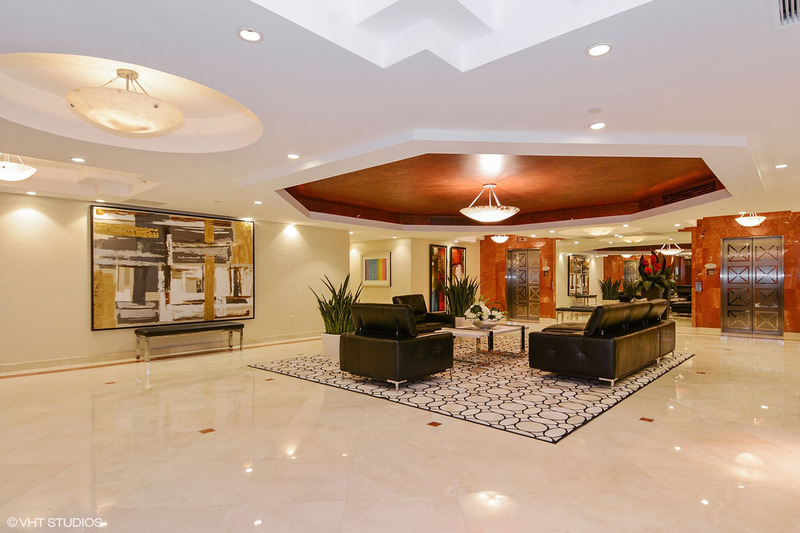 Upon entrance, one can see the expansive marble floors leading to a well-lighted apartment decorated with a stunning accent stone wall. 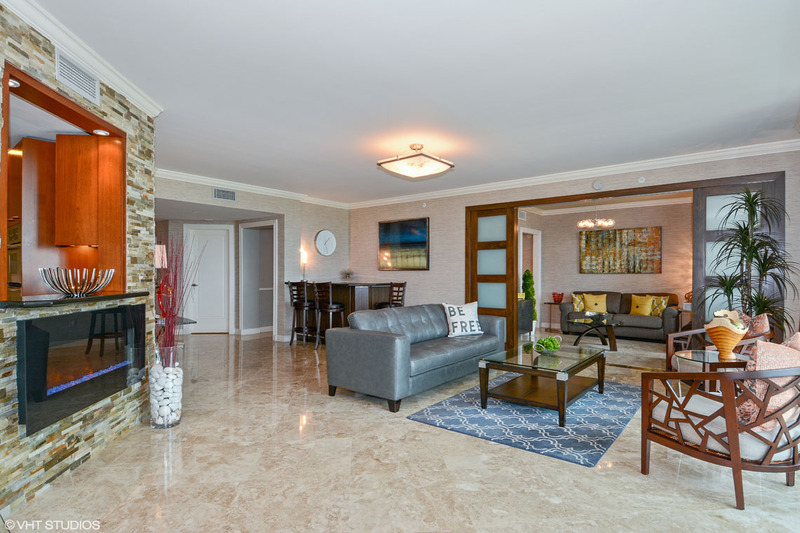 In the accent wall, stands an electronic fire place that gives the unit a cozy feel without ever sacrificing its elegance. 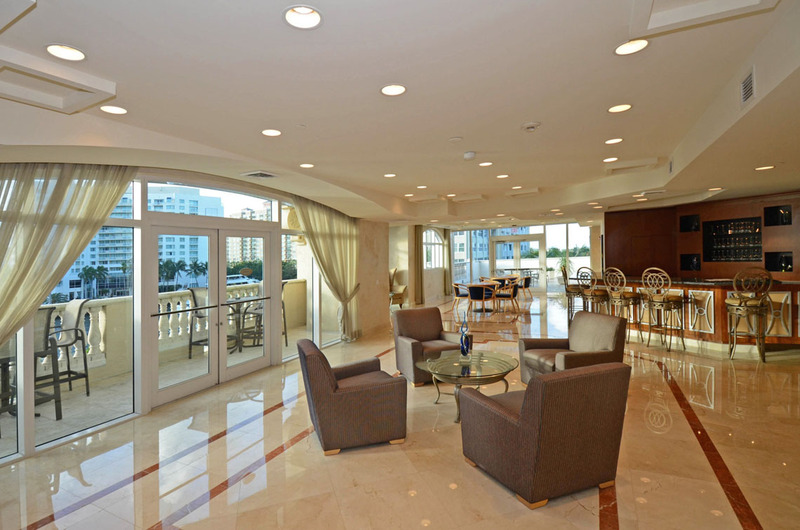 The living room looks out onto the terrace with views of the building’s marina and Birch State Park. 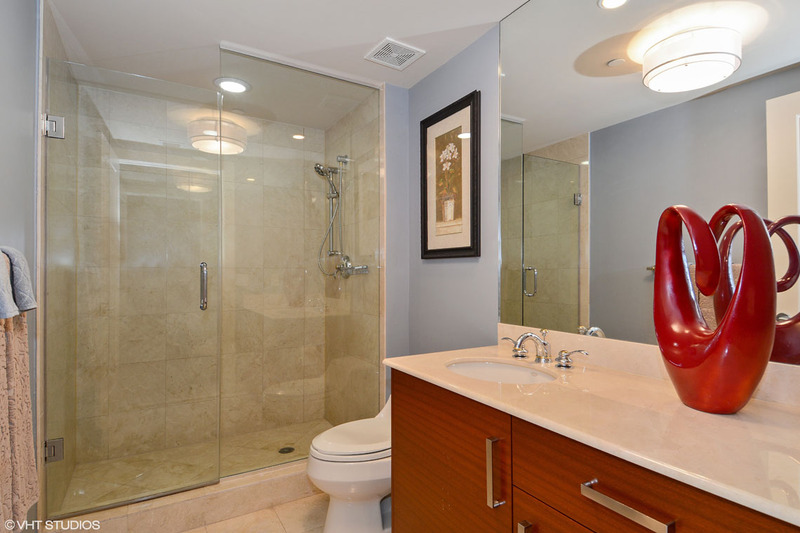 Also in the living room, is a glass sliding door that opens into an adjoined room with a sofa bed and a full bath. 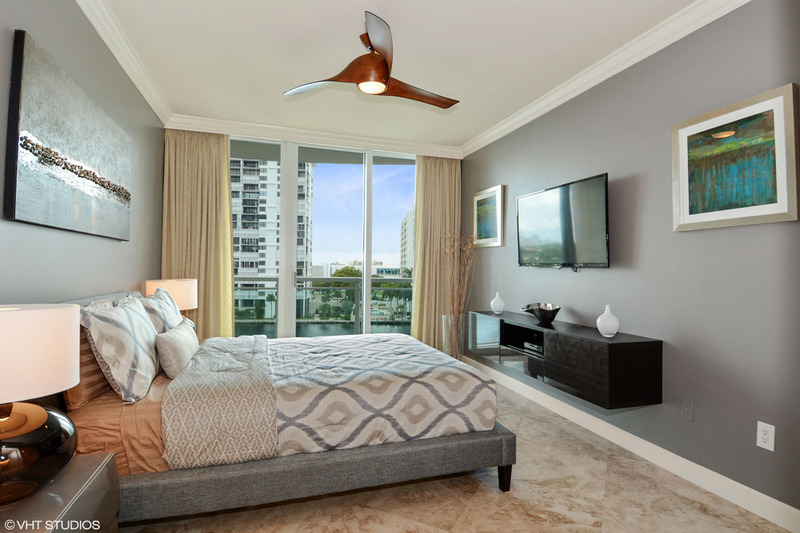 This allows the flexibility to use this functional room as either part of the living room as a guest room if needed. 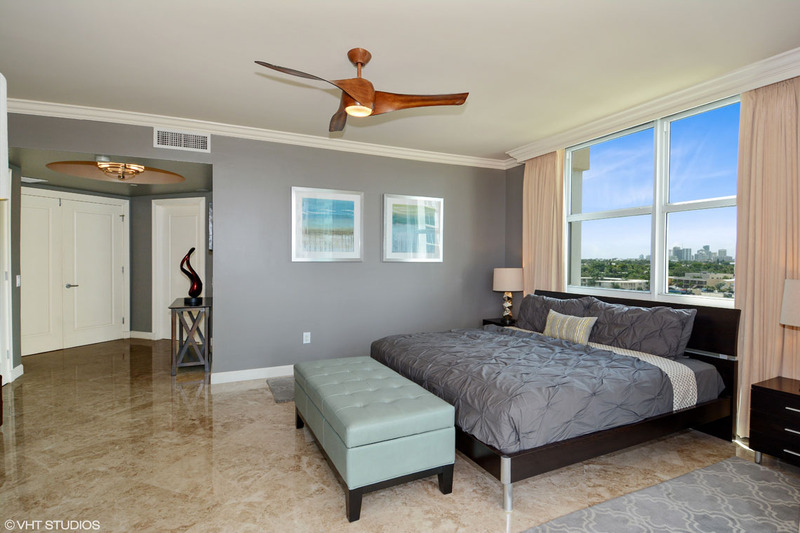 The master bedroom sits on the other side of the apartment facing both the beach and the Park. 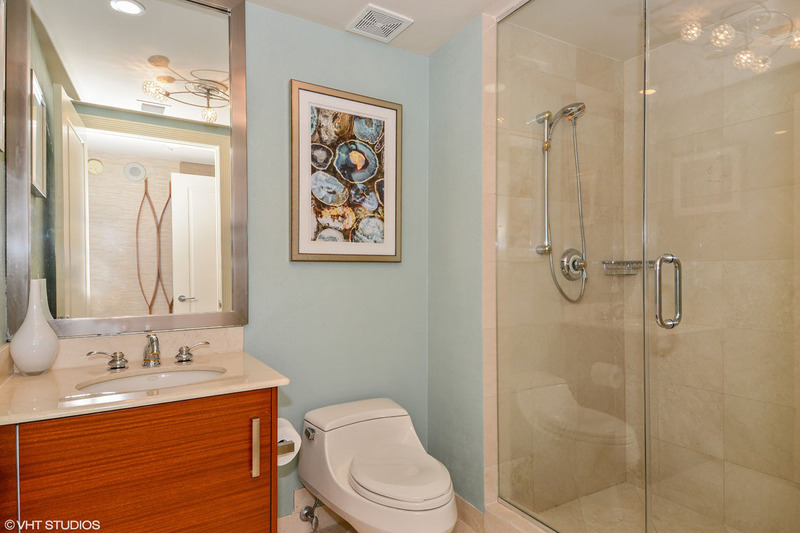 It has a spacious his and hers bathroom with a bathtub, bidet and a frameless tempered glass shower enclosure. 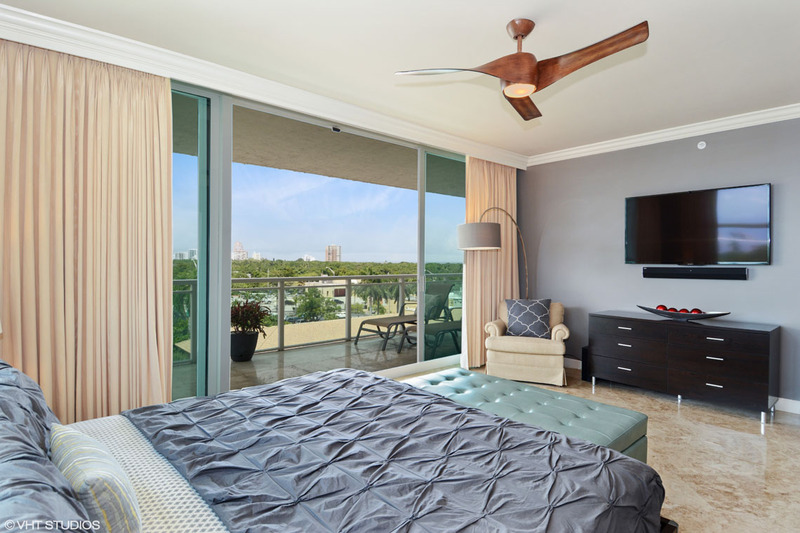 The suite also contains an over-sized walk-in closet and a terrace overlooking the coast. 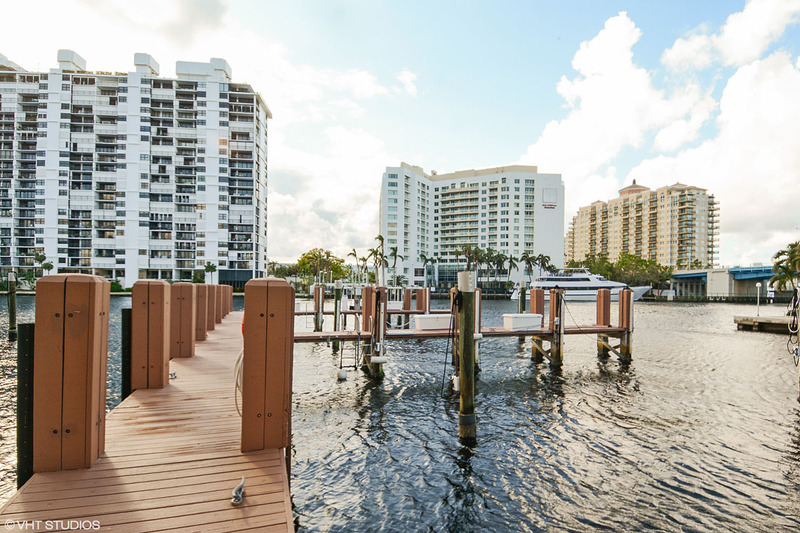 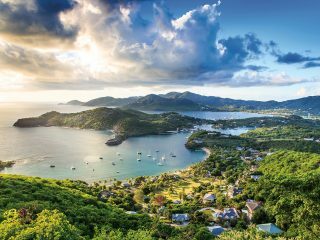 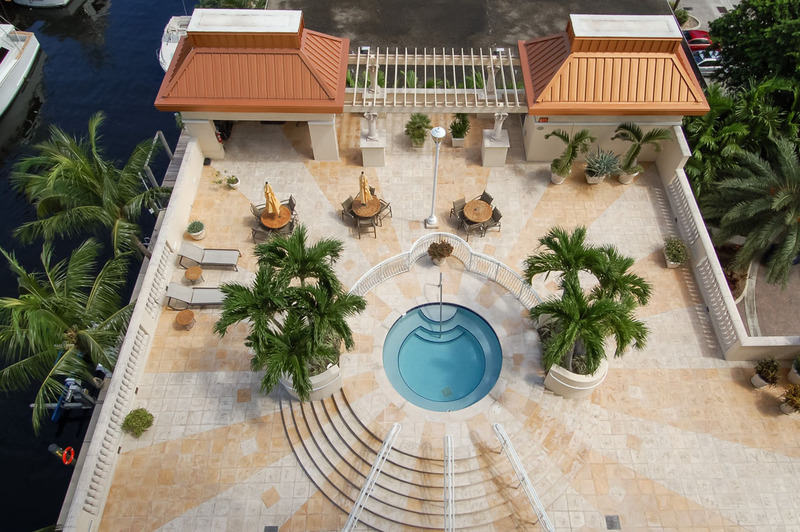 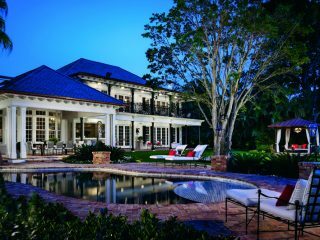 Some of the amenities included are the resident’s marina with 17 boat slips, gym, spa, pool, two garage spaces, storage and access to an events room. 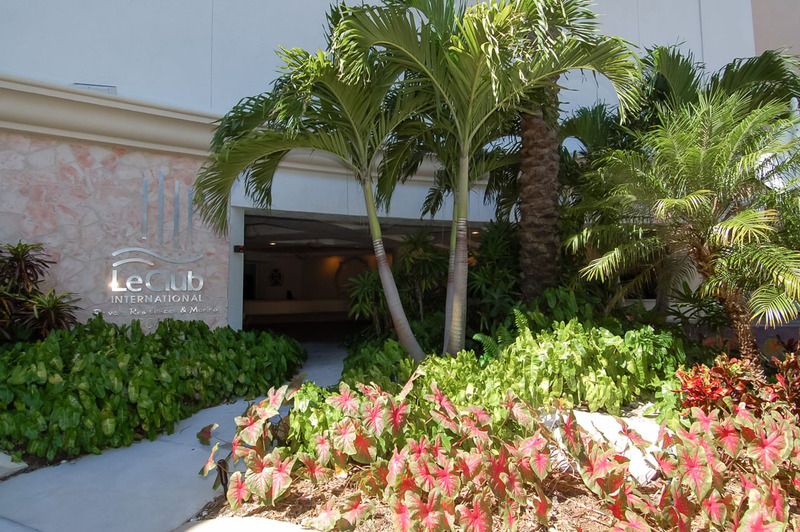 Additionally, due to the convenient location of Le Club, residents may call the Water Taxi ahead time and be picked up directly from their building.